In addition to updates reflecting current diagnostic imaging practice, the Second Edition adds two new chapters on practical physical concepts and artifacts and abdominal contrast ultrasound. Complementary imaging modalities and histopathological images have been incorporated to complete the case presentation. A companion website offers access to more than 125 annotated video loops of real-time ultrasound evaluations, illustrating the appearance of normal structures and common disorders. Atlas of Small Animal Ultrasonography is an essential teaching and reference tool for novice and advanced veterinary sonographers alike. 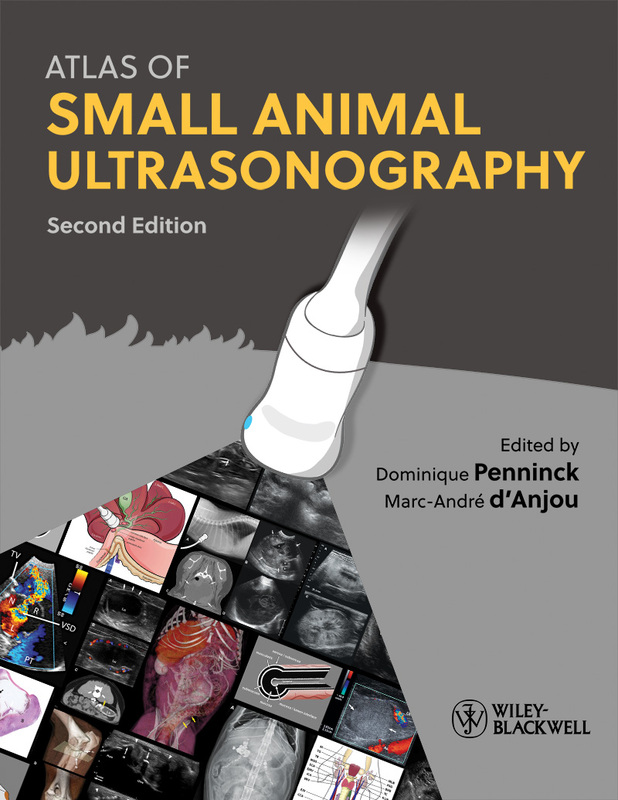 The second edition was born from the collaboration of 18 international authors that share the same passion for small animal ultrasonography :-). You can pre-order your copy from amazon or other book stores. I have just bought the third edition. But unfortunately I don’ t find the password. Yet on page xi..
Hello Dr. Rohrbach. Are you talking about the second edition of this book of another book? This edition was only the second. Please look on page xi at the beginning of your book (2nd edition only), right before page 1 (Chapter One). Dear all, I want to know When will the book be released in Portuguese? We’re not sure Nadine! We host the website and have edited the original version, but the Publisher is in charge of selling its rights. We’re only sporadically informed of what they have in mind or what deal they make with foreign publishers. Thanks for your interest! Dear Moustafa, these videos are animated with annotations and text. There are no voices.